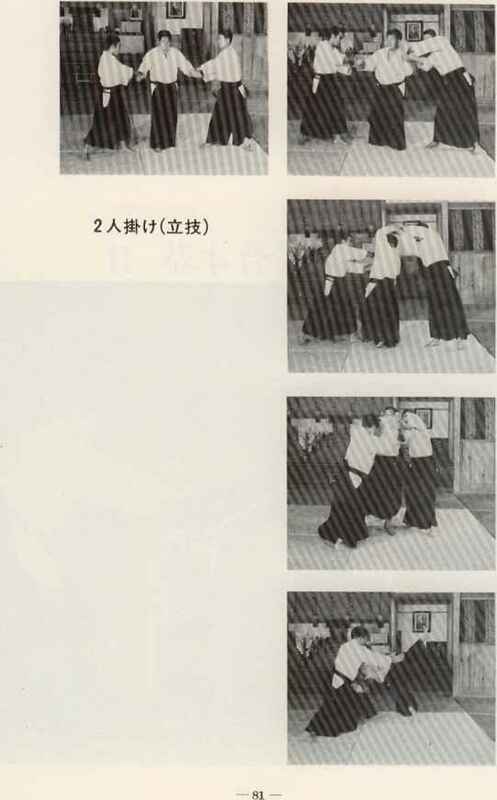 This section on Kendo is more a manual for students thana 'Teach Yourself' attempt. It has been taken for granted that the reader is either a student already or considering starting. True Kendo, in common with older Martial Arts, will lack clarity unless it is practised. The writer studied Kendo under Master Kenshiro Abbe Sensei during the period 1955 to 1964 and wishes to thank him for all his help. He is well known as one of the leading Martial Arts teachers - he was the youngest-ever All Japan Judo champion, and also studied Kendo, Aikido and Juken Jutsu (the art of bayonet fighting derived from spearmanship). Until the end of the Second World War, the Butokukai (Martial Arts Society) controlled all gradings and teachings and Kenshiro Abbe Sensei was awarded a 6th Dan in Kendo from them, in 1945. Bambutsu Ruten - All things existent in the Universe turn in a constant state of flux. Ritsudo - This motion is rhythmic and smooth. Chowa - All things act in a perfect accord. Kyu-shin-do is a Japanese equivalent of the Buddhist Karmic cycle especially as far as its application to life is concerned. 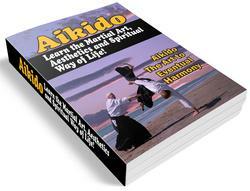 This is an old Japanese idea but the writer's teacher was the first to grasp its real significance in relation to Budo. To attain perfection in technique means to attain to perfection as a human being and through our studies to become a better person and a useful and positive factor in society. Kyu-shin-do also states that the accumulation of effort is a steady motion about the radius and centre of gravity and that all things resign to this basic cyclic pattern. The normal perception and focus of awareness in the human being, flies along the outer periphery of existence, events flash past too rapidly for the mind to grasp. By re-discovering the original centre of things, events turn more slowly in perception and the general scheme is more easily viewed. All this refers directly to the original Great Principle of Creation, under which the Universe was first formed. By understanding and harmony with this Principle of God a better purpose of life is brought about. Instead of hopeless repentance or regret for bad things, the human being should strive for good actions. This does not mean that every student must involve himself in complicated metaphysics but these laws of Material Nature still exist and cannot but become clear during the course of study. Kendo in itself is a vigorous and healthy activity, developing a strong physique and sharp mind. There is no reason why it cannot be practised and enjoyed purely and simply as a sport, or interesting game; even just for exercise. Kendo also has within itself the capacity to include the deepest significance of life and the highest goal of human conception. The student should concentrate firstly on the purely physical aspect of training, since interest in other aspects will occur naturally as they become problems. The student involved in the sheer physical problems of training will scarcely be aware of his mind, but once the body is reasonably under control it will be seen that the mind is the real bar to progress, for one reason or another. The human being consists of both a spiritual and physical side. Too much concentration on one aspect will lead to an unbalanced life and the student should attempt to develop both parts equally. The student who is too prone to think, should train harder and with greater regularity whilst the student more sluggish of thought should strive to improve his mind and increase his intelligence by thinking things out, and reading. Once past the first initial stages Kendo is a battle with oneself to catch the mind and force it to obey the will. Over the years the student will pass through periods of elation and depression, keen enthusiasm and lack of interest. The main object is to overcome all difficulties and to press forward with a firm mind and iron will. The student who misses classes because he cannot be bothered to attend, feels tired or thinks that he is getting nowhere has defeated himself from the very beginning. The senior grades and masters are merely those who have had the tenacity of purpose to continue in the face of any difficulty. It is not thought necessary to describe equipment here, since this will be seen clearly enough once training is begun and the same applies to individual Dojo (training hall) regulations. The widespread attitude of behaviour and etiquette in the Budo arts derives from Kendo since it was foremost of such studies in former times. The only Budo are pre-dating Kendo is Kyudo (archery). Philosophy and semi-religious attitudes, as a universal concept of swordsmanship, is regarded as dating from the sixteenth century although the broad field of techniques and movements can be traced to the ninth century and the introduction of the modern Japanese sword. The term Kendo (Sword-Way) has only been in general usage since 1895 and prior to this many terms were in use at various periods. Whilst Kendo derives directly from swordsmanship it must be understood that the wearing of padded armour and of the bamboo Shinai or practice sword changes many aspects, both physical and mental. Swords are still sometimes used in Kata or preset 'Forms' but the real appreciation of the 'heart' of Kendo is only gained in direct combat and is thus very difficult to understand in modern times. Kyu (Student) and Dan (Step) grades are awarded in Kendo for proficiency and are the exact equivalent of other Budo art grades, except that no belt or distinguishing mark is worn. It is easy to assess a student's ability by the way he sits, stands or moves about the Dojo. Grading is a relatively modern idea and as a general rule not much attention is paid to this. It is normal fashion to ask the grade of a strange student prior to, or after, practice but a more common question is merely how long he has been training. As a very broad guide to progress the grade of Sankyo (3rd Kyu) normally means the student has probably trained two or three evenings per week over about a year. The grade of Shodan (1st Dan) may take anything from three to five years and progress through the Dan ranks becomes progressively more difficult. The average European could expect to pass a number of years equivalent to the next Dan rank taken. Mastery is generally accepted as being 6th Dan or above and even in Japan may take from fifteen to twenty years unless the student is particularly brilliant. Only three or four Judan or 10th Dan exist at any one period and these are elderly gentlemen who display not only technical ability but possess very real human qualities as well. It has not been uncommon to find Kendo Masters in their nineties who train five hours every day retaining agility and skill. Grade refers to a certain level of technical proficiency and is not necessarily relevant to ability or the understanding of Kendo. Since we have competition without any direct physical contact Kendo is predominantly psychological by necessity and since the full personality does not develop until about the age of forty there is no noticeable drop in ability with advancing age. In pre-war years, when a deeper study was made, the Champions were always at least in their fifties and Kenshiro Abbe Sensei tells of his own teacher at the Busen College, who, at the age of seventy-five, could not be touched on the body by any young students or even young teachers.